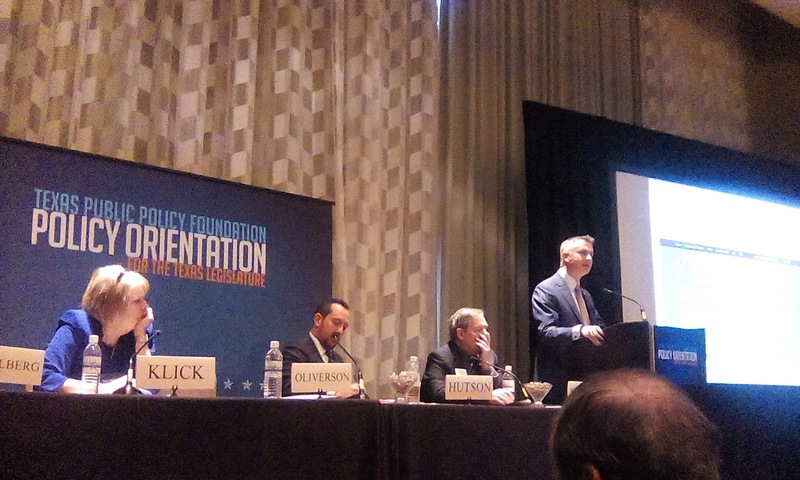 On the final day of TPPF's Policy Orientation, we attended a panel "Mid-Level Medical Providers Could Improve Care Shortages." That's a longwinded way of saying that not every medical issue needs to be treated by a licensed physician. As a website that often works on housing issues at the local level, we found this discussion very similar to the conversation about "Missing Middle" housing. Rep. Tom Oliverson, a licensed physician, spoke against the proposal. Oliverson spoke about an alleged need for "training requirements" that were comparable between physicians and nurse practitioners. 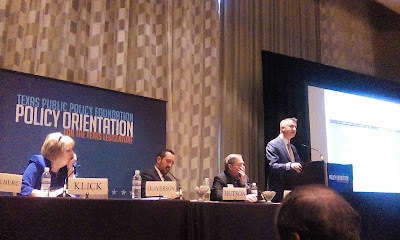 Oliverson also spoke about the need to "standardize" training across the practitioner field. This was all to be done to protect public safety. To be honest, Rep. Oliverson's arguments sounded very similar to the types of complaints cab companies make against Uber, a point we raised during Q&A. We continued the conversation with Oliverson after the panel concluded. Oliverson spoke about health care as a special case where we need to "get it right in advance." We remain unconvinced, as we believe decentralized consumers can digest far more information far more efficiently than a government licensing board (*). Nevertheless, we appreciate Rep. Oliverson's candor and willingness to engage the issue. Bottom Line: There is a politically created shortage of medical providers across this state. This shortage drives up costs, which accrues to the benefit of current providers. Scope of practice reform will help alleviate that shortage, which will in turn lower costs and increase options for consumers. * -- It's also worth pointing out that nurse practitioners are still pretty heavily regulated, they're just not as heavily regulated as licensed physicians.